跟蹤簡易食譜已經好多年啦~ 很開心看到Christine每一次無私的分享食譜, 每一次沒有頭緒煮些什麽的時候, 就會上來收搜, 甚至無聊時, 也會來這裏閑逛. 這裏已經變成我很喜歡上來的一個地方. 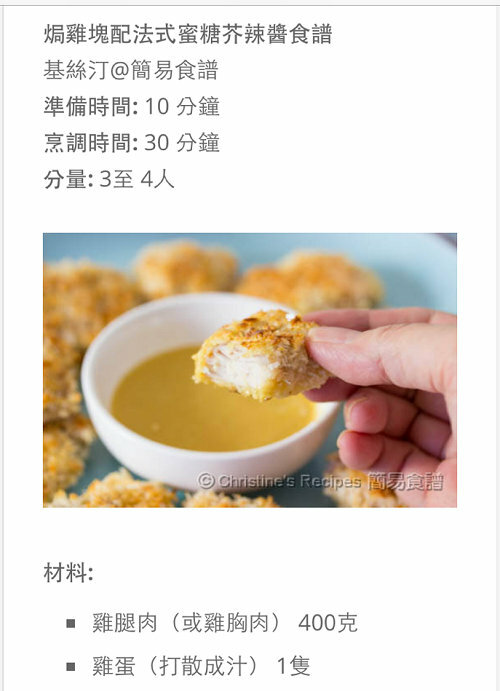 最近看到Christine的網站以新的形式呈現給大家, 我很喜歡. 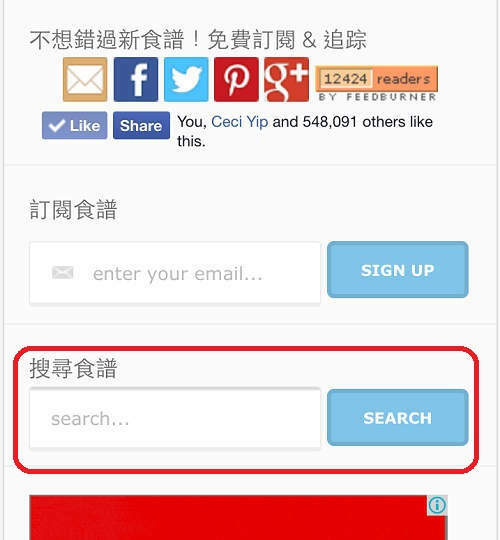 但有個小小的疑問, [收搜食譜=search] 只能放在最下方嗎？每一次我想search食譜的時候, 就必須把網站拉到最底部, 有時候網速不夠快(loading太久, 網站會自動refresh, 那又必須從來直到網站的食譜完全顯示出來才能看到search bar) 本人是用手機瀏覽, 所以覺得有少少困擾. Thanks for sharing all your recipes and tips on cooking. I would probably exist on instant noodles without you. I sorry to complaint since you have been such great help to me but this new design is not very easy to navigate. I am using the desktop version on Google Chrome. I used to loved the fact I could easily select from the menu the type of recipe I want to try - sorted by cooking methods/courses/cuisine type. Now I find it very difficult to find what I want. As an example, I was trying to find 乾炒牛河. I tried looking at the content page but I can't find it. (might I suggest hyperlinks at the top to each section? It was quite time consuming to scroll through to find the section). I can't type Chinese so in the end I had to go to google translate and type in 'dry stirfry beef river' for translation. Also, the search bar you mentioned above actually appear at the bottom of the page, past all the comment section. Also, the page is really white and with the light blue writing, it was very hard to keep my eyes focus on the page, my eyes were watering. I am really sorry about complaining and I hope you won't take this the wrong way, I know that these must all be teething issues. I just wanted to point out areas that have affected by enjoyment of your blog. I hope this would help other users as well. Thanks for your feedback. I'm still fixing some bugs right now. Please bear with me. 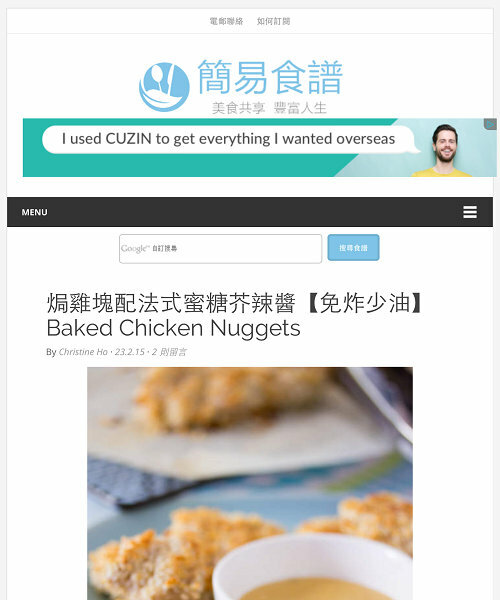 I've installed two functions, "recipes by photo" and "recipes by titles" on the navigation bar. 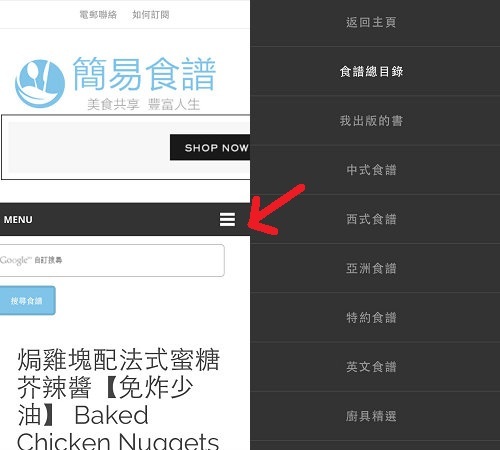 After clicking each of them, you'll get all recipes broken down into cooking methods/courses/cuisine types. They are not put on the left sidebar as before. Sorry for the change due to trying to maximize the fonts of recipes in the post body. 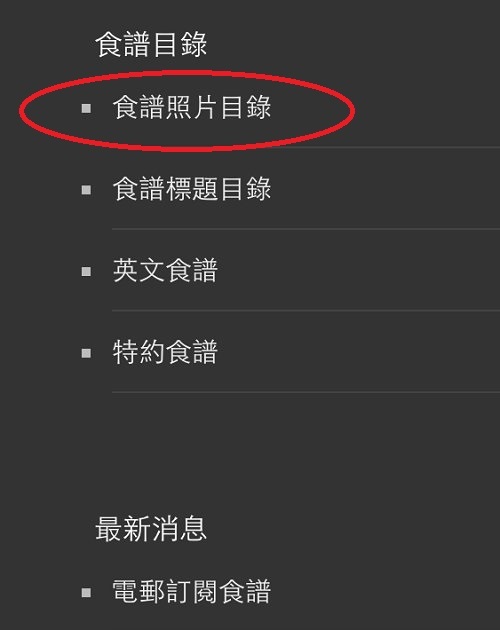 Also, I installed back another search recipe box on top of the first recipe post. Think that it'll help you to search what you want. For the blue colour of the links and titles, I'll try to test another colour as soon as possible. Thanks for your input of keeping this blog better and better. Thanks v much for sharing!u made my life so much better and easier! I love your recipes and blog! God bless! Thanks so much for your love of my blog. Welcome you to come back for more yummy recipes.